I have been loving Reverie Box recently. Last time, I bought their Sun Kissed Hair Care Edition and was pretty happy with it. My only concern was, last week, I thought of using the Tvakh Hair Serum that I got in the box. But when I saw the ingredients list contains silicones, I was disappointed ☹. 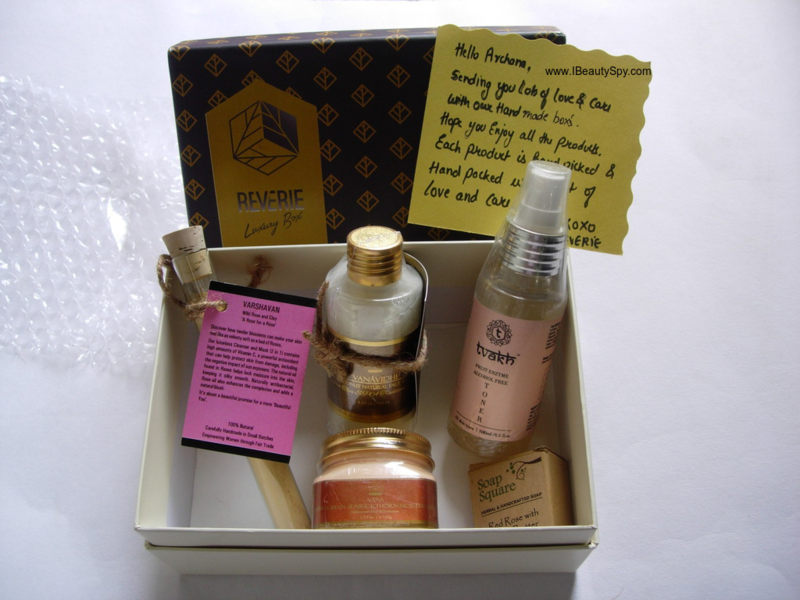 I wish Reverie Box, being a natural, cruelty free subscription box sends only paraben-free, sulphates-free and silicone-free products. Anyway, coming back to this month’s box, it is an exclusive box for face care products. The box as usual was wrapped in a beautiful gift wrap. Let’s see what all I received. I have been wanting to try Vanavidhi products but they are really expensive. Am happy to receive two of Vanavidhi products in Reverie Box. The Thai Spa Coconut Face Wash looks tempting. Will do a detailed review on it after using. My Plum Green Tea Toner was getting over and I am happy to receive the Tvakh toner. 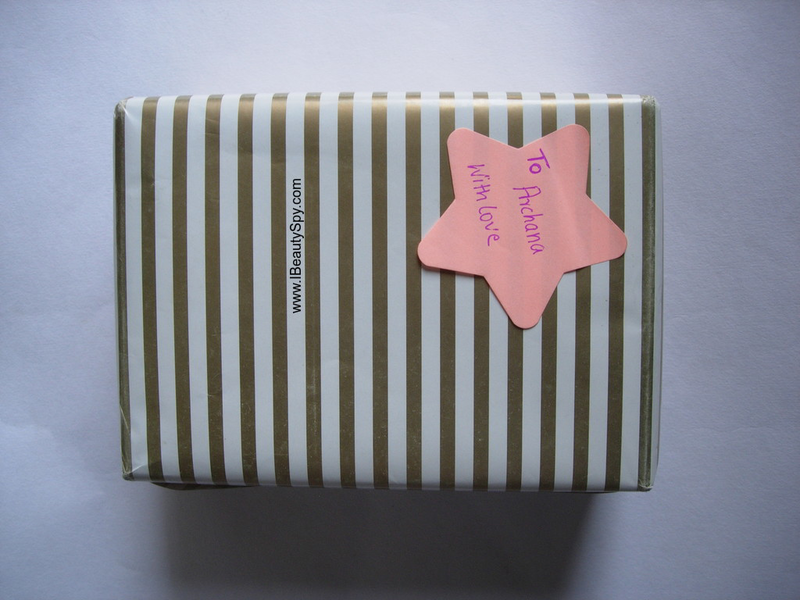 I have tried two of Tvakh’s products and loved them. Having great expectations for this as well. Soap square soap I have already used and like it. Finally, coming to the face mask, when I opened the box, the entire box smelled heavenly of roses due to this face mask. It comes in a pretty, unique, test tube packaging. Am quite excited to try this out. “Discover how tender blossoms can make your skin feel like as velvety soft as a bed of roses. Our luxurious cleanser and mask contains high amounts of vitamin C, a powerful for antioxidant that can protect skin from damage, including the negative impact of sun exposure. The natural oil found in roses helps lock moisture into the skin, keeping it silky smooth. Naturally antibacterial, rose oil also enhances the complexion and adds a natural blush. It’s about a beautiful promise for a beautiful you. 100% natural. Carefully handmade is small batches. Overall, this month’s Reverie Box is amazing. If you want to treat your skin to some luxury face care products, do give this a try. This box is amazing, getting products worth 3131 for 1600 is too good..
Nice review and lovely box , its worth trying as we are getting so many good products . Very nice review and the products are amazing!